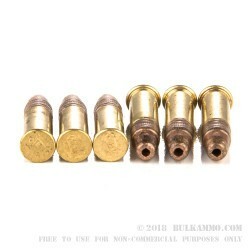 Sometimes the best target ammunitions are those that are the simplest. The Winchester 36 grain .22 Long Rifle Copper Hollow Point is a simple and affordable round, yet guaranteed to deliver high performance without all the unnecessary costs. 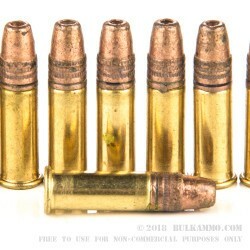 Traditional .22 LR ammunition is derived from soft point swaged lead that will foul your barrel after minimal use, and has a history of shallow penetration making it less than ideal for anything but paper targets. The Winchester 36gr .22 LR CPHP houses its swaged lead core inside a copper jacket, a delivers a hard hitting, minimal barrel fouling performance uncharacteristic of any other ammunition in its class. At at an average muzzle velocity of 1,280 feet per second, the super sonic .22 LR round can effectively engage targets out to 100 yards, and is ideal for hunting small game and varmints such as rabbits and squirrels. 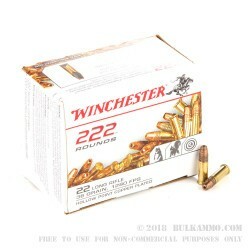 For target shooters and ranchers looking for a higher quality .22 LR ammunition at a price the whole family can afford to shoot, the Winchester 36gr .22 LR CPHP is welcome solution to your ammunition needs.